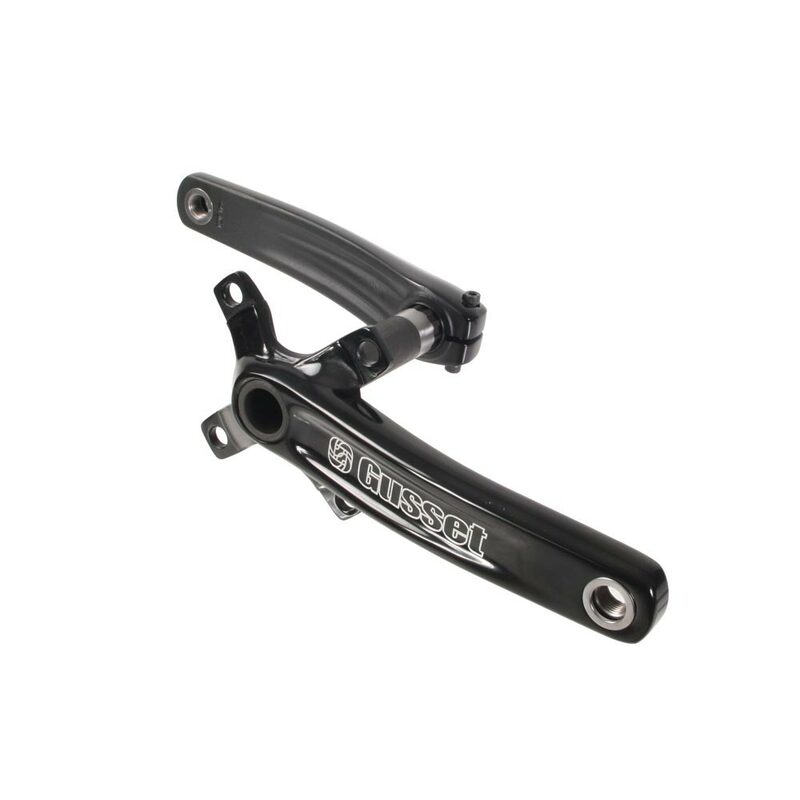 2 piece forged alloy cranks for mountain bike or singlespeed use. Light weight and rigid I-beam type section. Additional heel clearance S-curved shape. Splined cinch clamp L/H arm with 24mm OD tube axle. Flex & creak free Integrated 4-arm 104 BCD spider. Super strong steel pedal thread inserts. BB not included (use GUSSET EXT 24).